Note: All exhibits are JPEG pictures which range from 50-150KB each. The larger maps and documents may best be viewed in 1024x768 mode. After viewing the document, use your browser's back button to return to this page. 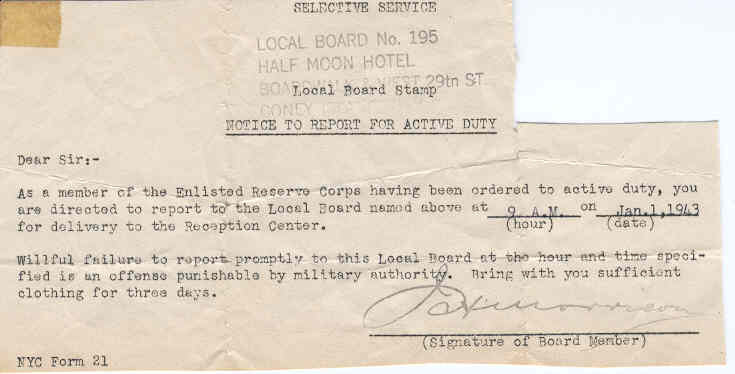 Induction Notice Dad's notice to report for induction to the the Half Moon Hotel in Coney Island, NY. 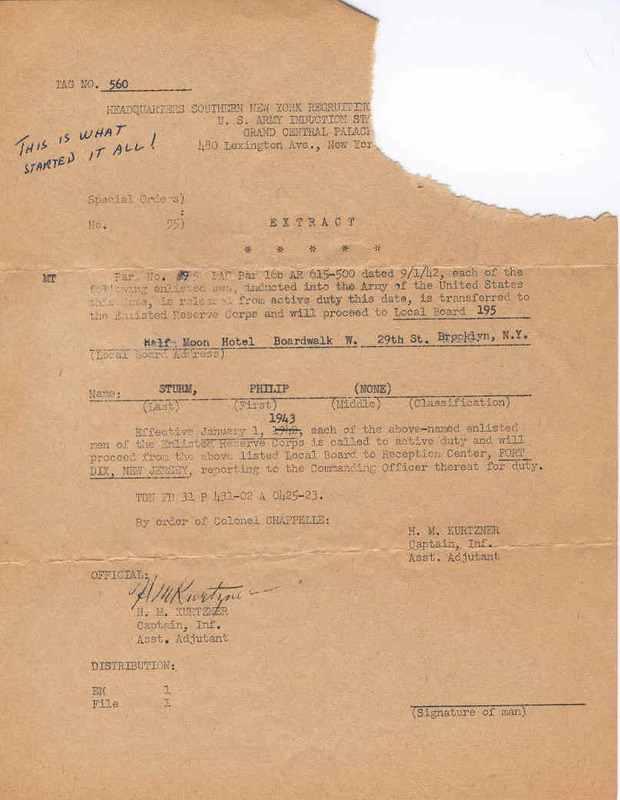 Induction Orders Orders that transformed dad from a civilian registrant to a draftee. Emergency Data Worksheet Paperwork required at induction. Pay Record(1) Cover of dad's pay record. 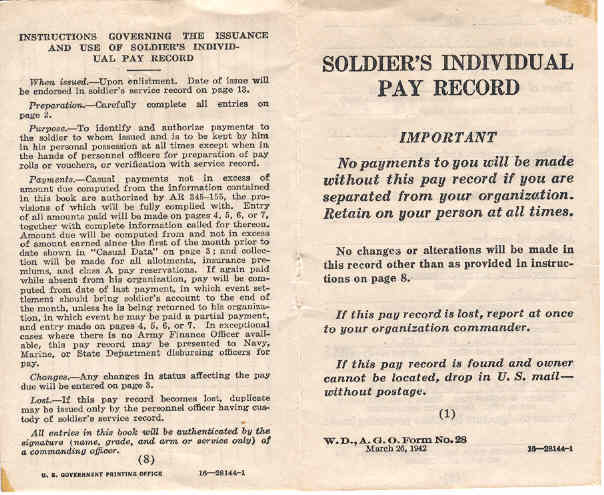 Pay Record(2) Remains of the interior of the Pay Record showing Promotion Dates. 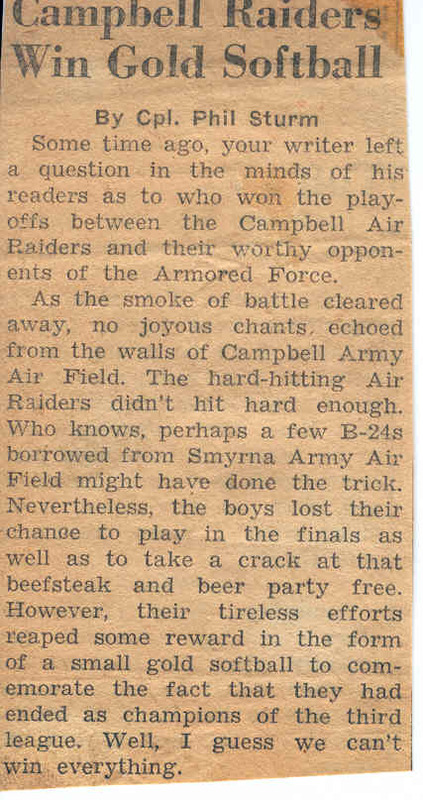 Campbell AAF Softball Team Dad was involved in the Comic Book business before the war and while in the Service, he wrote for and edited newspapers at Campbell Army Airfield and on Biak. 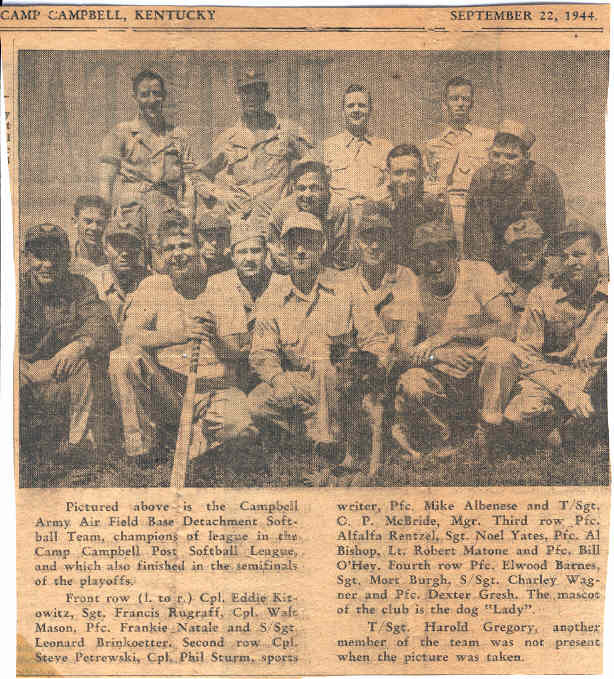 This is a clipping from "Retreat to Taps," printed at Camp Campbell, KY with a picture of the CAAF softball team. Softball Story Dad wrote the story that accompanied the picture. Shot Record His (ouch) record of vaccinations - watch out for the one with the hook! 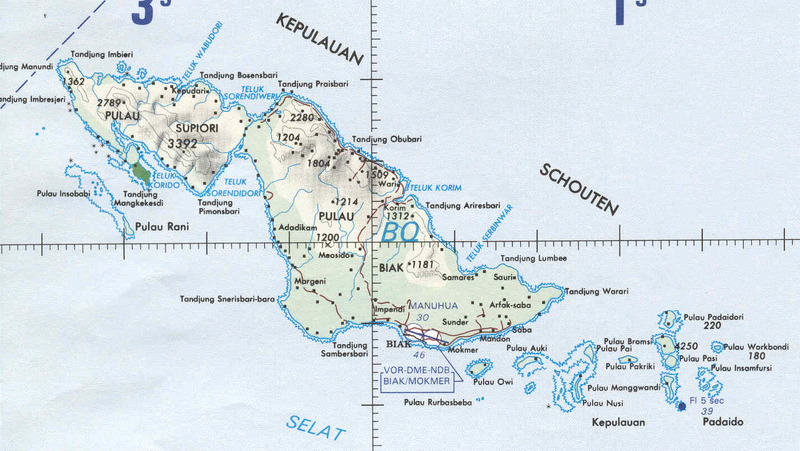 Modern Map of Biak This is an excerpt of a modern Operational Navigational Chart (for aircraft). 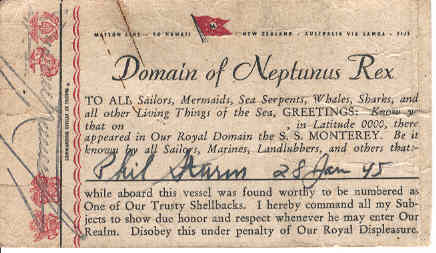 Sons of Neptune Card With this card and accompanying solemn ceremony, dad was inducted into the famed sailor's coterie upon crossing the international dateline. 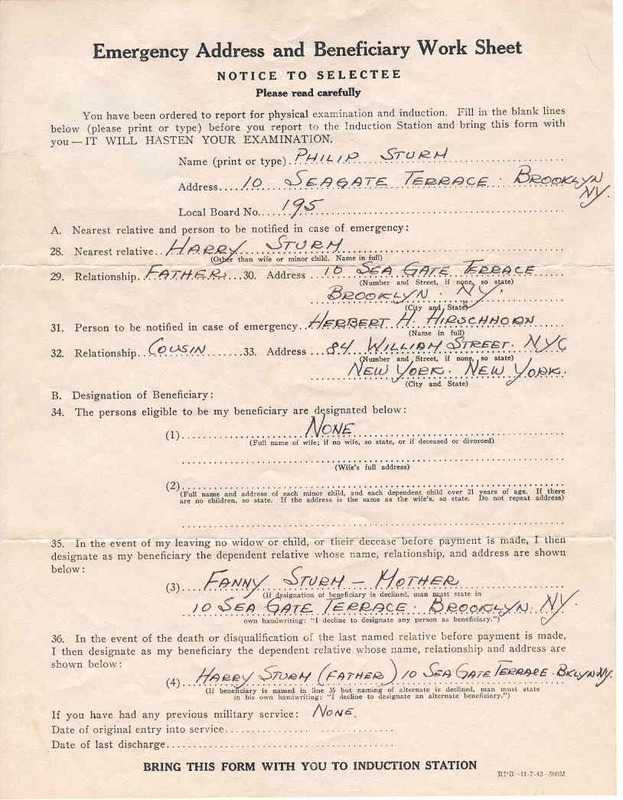 This took place enroute to New Guinea, on the troopship USS Monterey, 28 January 1945. Biak Base Map Map of the main base at Biak and the air strips. 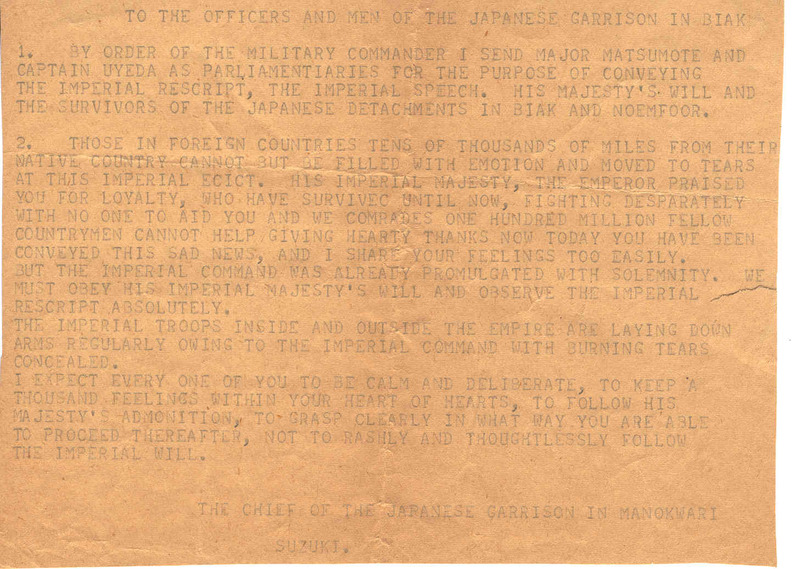 Surrender Request Dad saved this original teletype message. 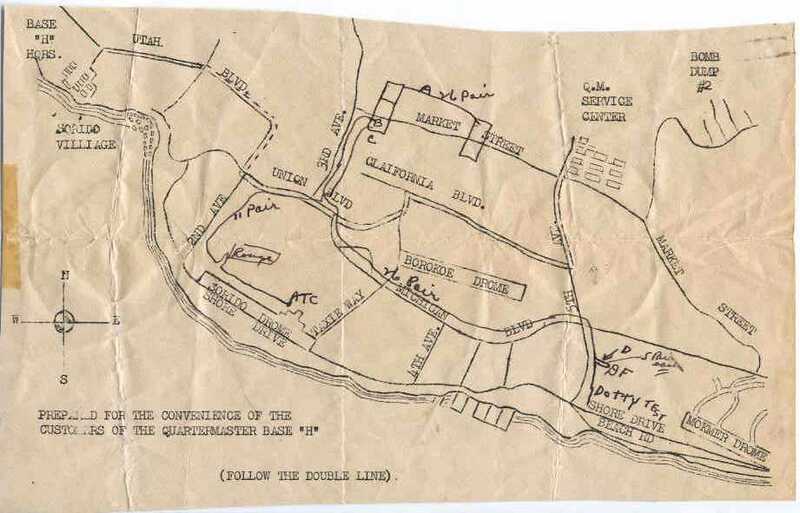 It is the official Japanese order to the remnants of their Garrison on Biak to lay down their arms. Dad didn't save the message header, but I must assume this message was sent after the formal surrender. Historical background on this message would be greatly appreciated. Eligible for Discharge The order that said he could go home. Aranging Transportation The actual TWX exchange which confirmed transportation off the island. Dad had to make his own arrangements with an RAAF C47 crew. On the flight from Biak, he noticed parts falling off the aircraft. When dad notified the pilot, the response was something on the order of, "Well mate, do you think your Government would spare us any of the good ones?" 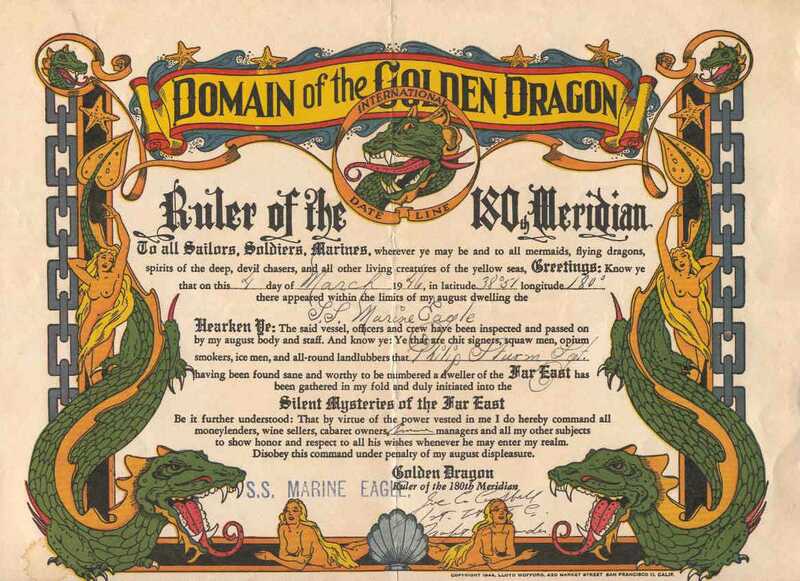 Domain of the Golden Dragon This beautiful certificate was presented to dad upon crossing the International Date Line aboard the troopship Marine Eagle on the way to San Francisco and home. 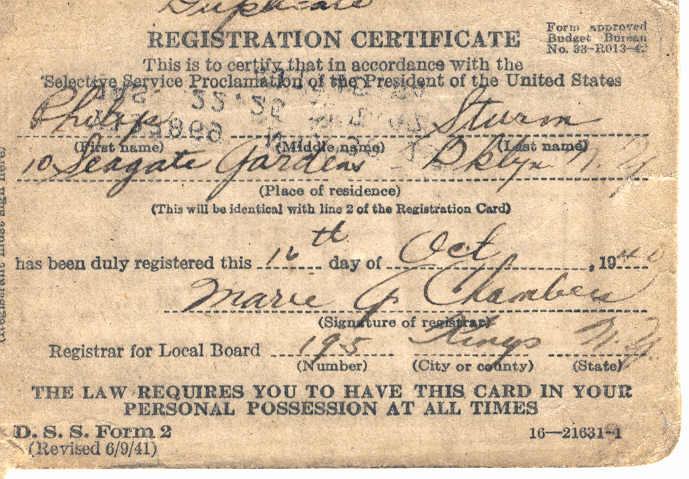 Discharge Certificate Front of document. 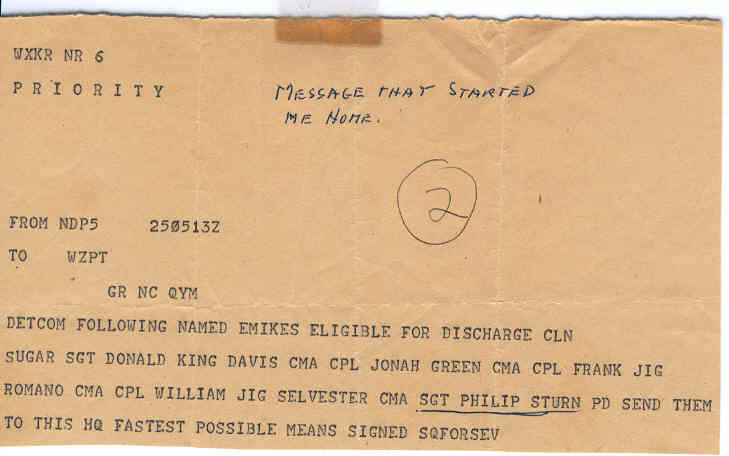 Discharge Certificate Rear of document. 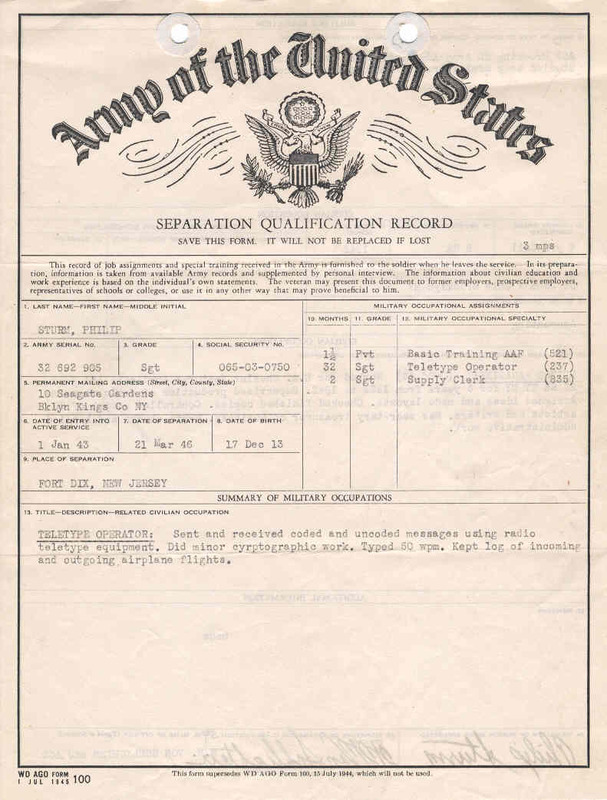 Separation Qualification Statement Front of document. 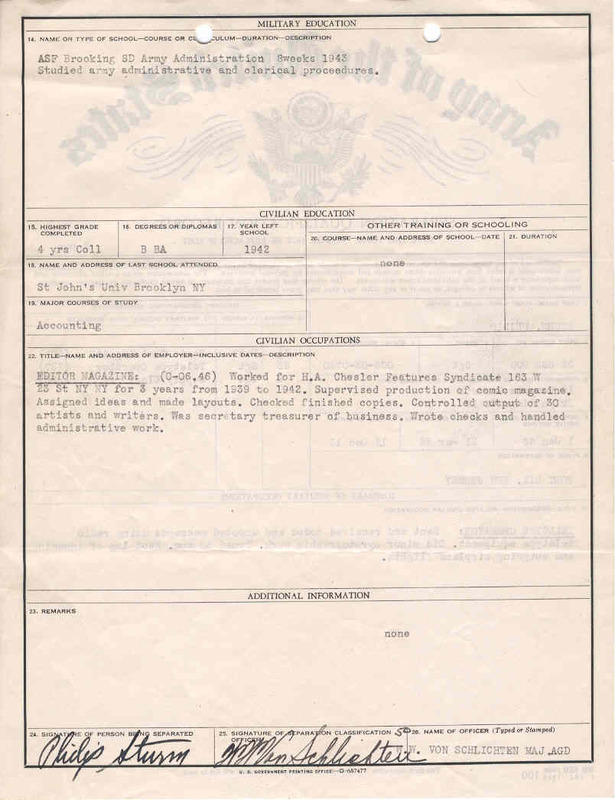 Separation Qualification Statement (Rear of document.) 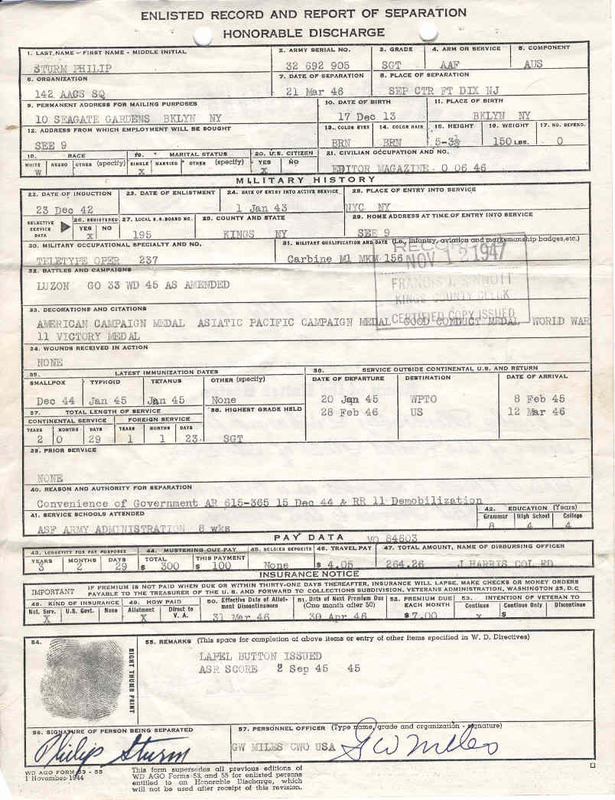 The sum total of a dad's active military service, but not his career. 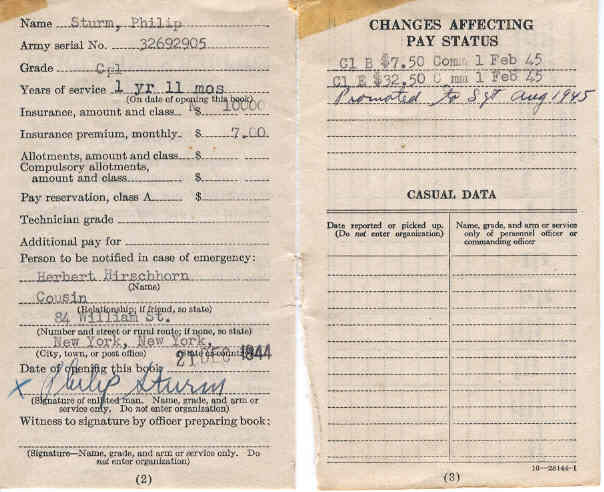 He went on to serve the Department of the Army as a supervisory auditor for over thirty years. Beyond his own career, he influenced me to enter Government Service serving as my mentor for my career. Probably more than most sons, I truely understand what my father endured during World War II, because I too was "drafted" in 1991 and deployed, as a civilian, to Dhahran Saudi Arabia during the Gulf War. 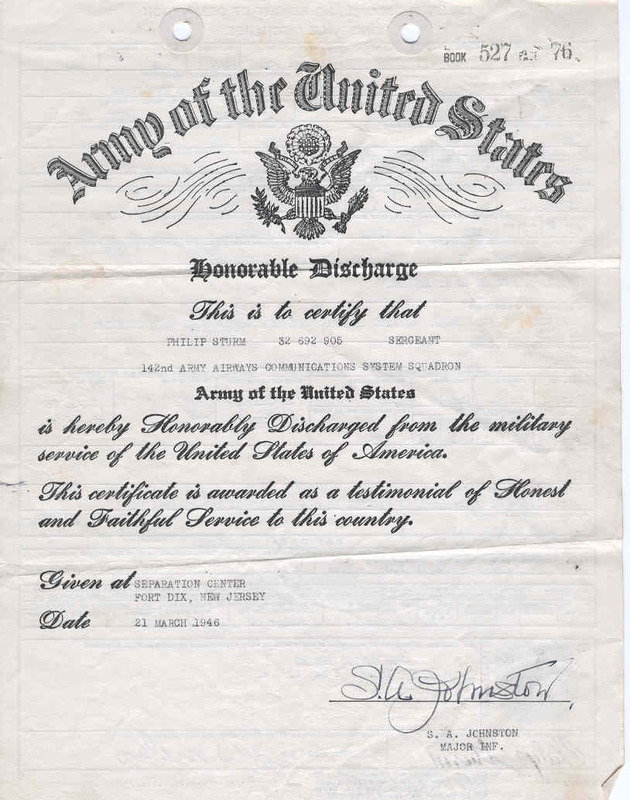 To date, my father and I represent over 68 years of service to the Department of the Army. 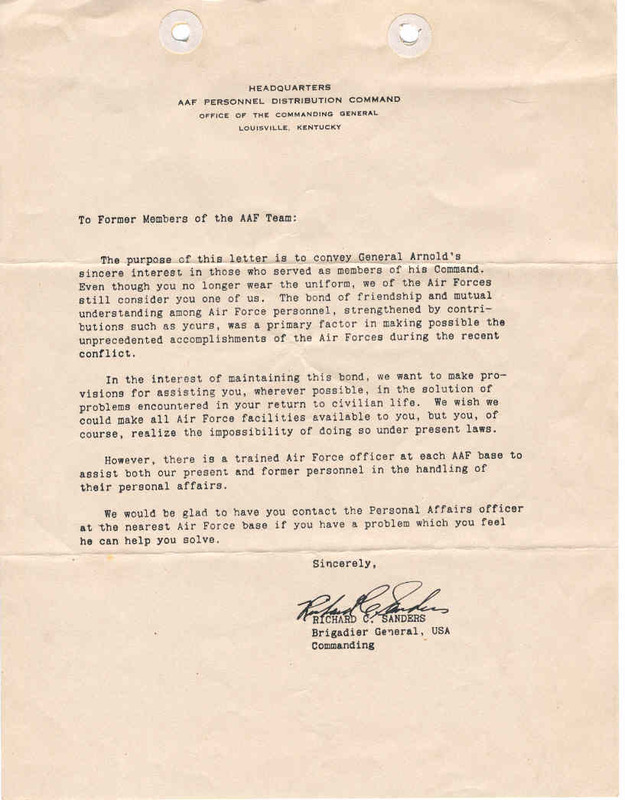 Assistance Offer Standard letter to all separating Air Force personnel offering assistance. 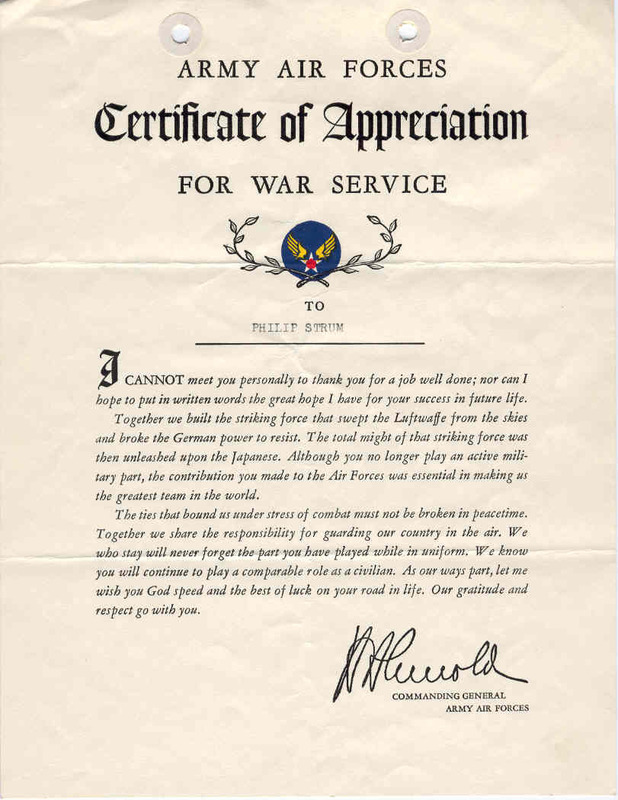 Certificate of Appreciation Standard form signed by Hap Arnold, Chief of Staff for the Air Force. 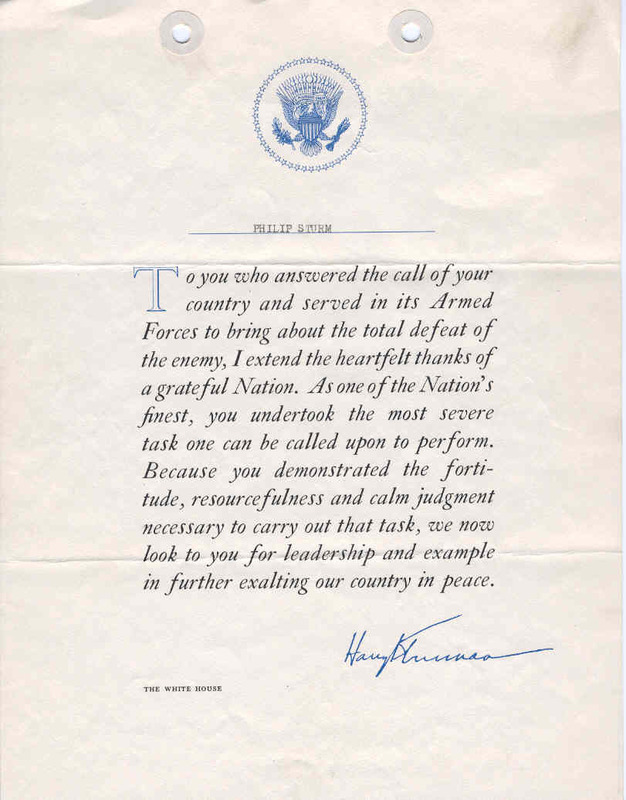 Letter of Appreciation Standard form signed by Harry S. Truman, President of the United States.